(UPM, 19 January 2017 at 11:00 EET) - The Nordic Bioeconomy Panel under The Nordic Council of Ministers has chosen UPM BioVerno and GrowDex® in the Nordic bioeconomy - 25 cases for sustainable change catalogue. 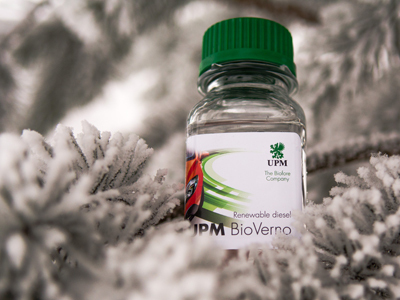 UPM BioVerno is a renewable diesel made of crude tall oil, a wood residue from pulp production. 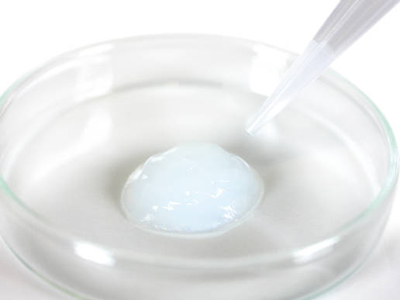 GrowDex® is a wood-based nanocellulose hydrogel developed for the needs of the pharmaceutical industry. "The Nordic countries are strongly placed to be global leaders in the production and utilisation of bio-resources that will enhance both competitiveness and sustainability. To continuously develop and improve this position we need inspiration and sharing of knowledge and best practices," says Hörður G. Kristinsson, chair of the Nordic Bioeconomy Panel. "The selected 25 cases in the catalogue seek to illustrate the diverse bioeconomy activities in the Nordic countries. UPM is the only company having two cases in the catalogue. Both cases are classified under the Replace category, listing case examples of products where fossil-based materials have been replaced by bio-based materials," Hörður G. Kristinsson continues. "Versatile use of recyclable and renewable wood biomass, combined with innovation, efficiency and responsibility is in the core of UPM's Biofore strategy," says Sami Lundgren, Vice President, Environment and Responsibility. "Having two of our innovative products in this esteemed catalogue is a great recognition for us and for our strategy," Sami Lundgren continues. In addition to the innovative and sustainable values, both products also have great growth potential. Demand for sustainable waste and residue-based biofuels is growing fast. Wood-based UPM BioVerno reduces greenhouse gas emissions by up to 80% which corresponds to 250.000 tons less CO2 emissions annually or 80.000 cars removed from European roads. GrowDex® is suitable for various cell culture purposes, especially for 3D cell culturing. 3D cell cultures can be used to replace animal testing and enable the development of cell-based drugs, tests and discovery of models that can be used in the future to better treat serious diseases. The Nordic Bioeconomy Panel is one of the main initiaves under The Nordic Council of Ministers that promotes bioeconomy. The Panel is a formal policy and strategy forum set up by the Ministers for Co-operation. The main task of the Panel is to draw up proposals for a joint Nordic Bioeconomy Strategy, describing the opportunities to promote sustainable Nordic bioeconomies and their operations.